Natural stone has its own story to tell being created millions of years ago. Formed by tremendous pressures under the earth, the striking and luxurious variation in color and movement makes it a formidable material. 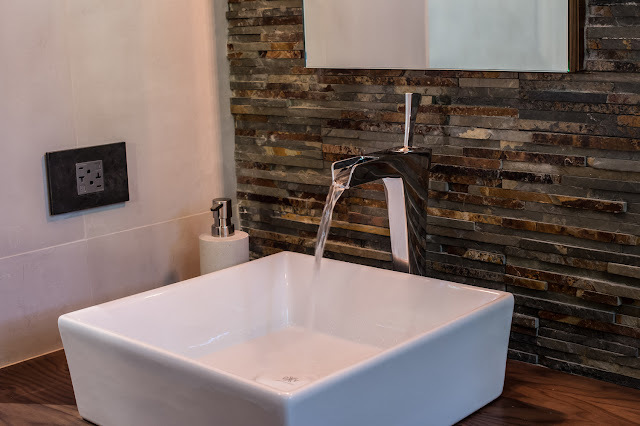 The rare beauty of natural stone may have once been reserved for the beautiful palaces and grand estates of antiquity but today we easily can integrate natural stone into modern home design and decor. Uses of natural stone include kitchen and bath countertops, backsplashes, bathtubs, showers, sinks, fireplaces, furniture... infinite possibilities. 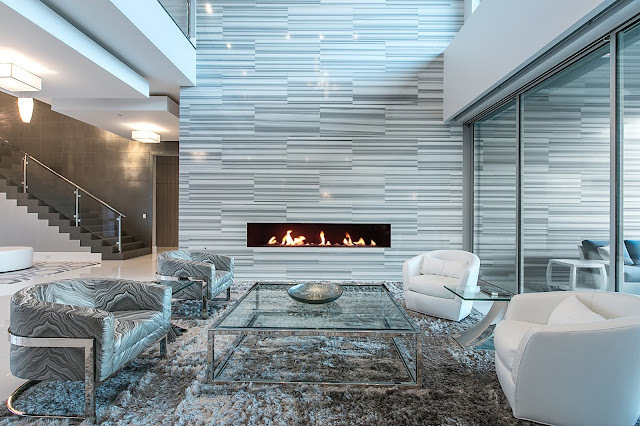 In the image above, large expanses of stone from floor to ceiling surround a linear gas fireplace. The effect is quite dramatic. The sophisticated modern use of stone makes this home interior elegant and chic. 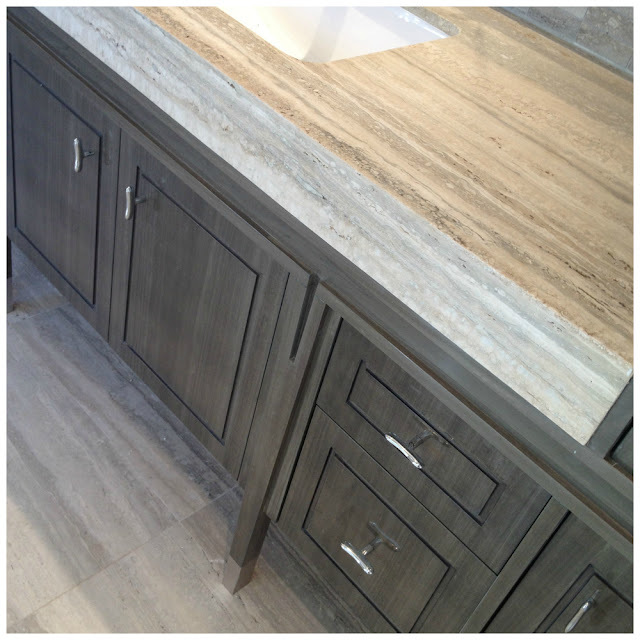 For kitchen and bathrooms, we naturally look to marbles, and granites. Calacatta Statuary and Gold are trending now. 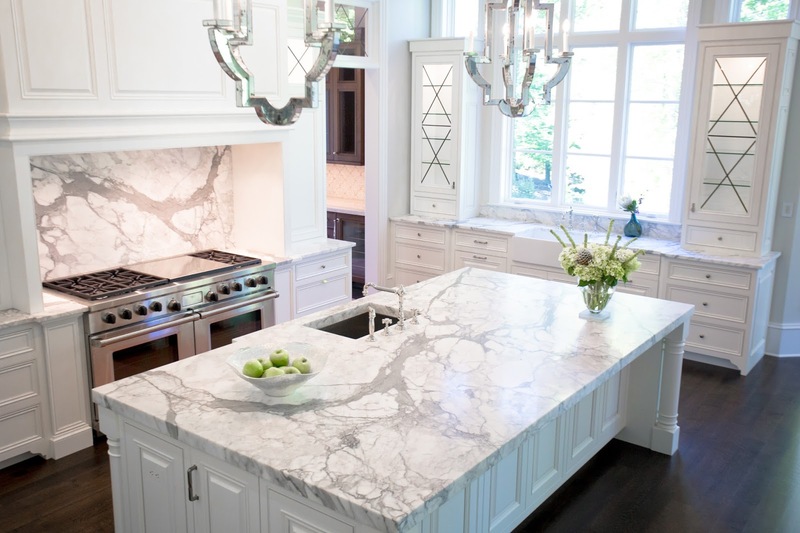 Designers are using calacatta slabs on both countertops and backsplashes to enhance a space as seen in the image above. Seen in stone tile wall format brings out the unique veining and patterning of Calacatta gold. Combined with the same stone on the countertops enhances the architecture as well. Ahh, the sophistication of stone is popping up in home decor. Last years Architectural Digest show showcased the use of stone on this headboard by whOre haus Studios. The bookmatching was impeccable! They also echoed stone on accent pieces of furniture. Love! Clients get scared away from natural stone because they hear it stains, scratches and is hard to maintain. Well... the truth is, yes it can stain if you don't take care of your rare beauty. Stone should be sealed every year and properly maintained. Just like you would get a facial for your radiant skin. You need to take care of it. Have you taken a tub in cumulo granite lately? I jumped at the chance to snuggle right into its sensuous curves. 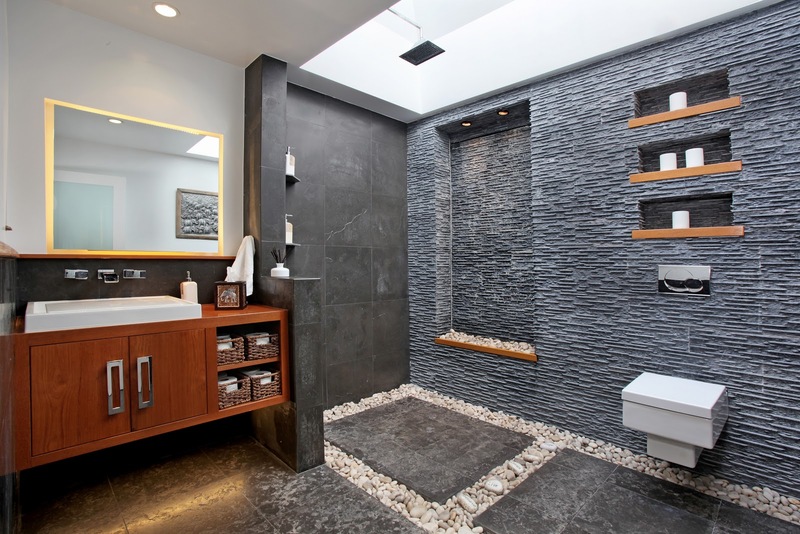 I love the Stoneforest's Papillon bathtub! It is carved from one block of stone. You can get a pedestal sink too! New homeowners need to prepare structurally for a massive piece of stone like this. Pure stone mastery that will last the test of time. One of my own masterbathroom designs used the beautiful silver travertine on the walls, floor and countertop on the above vanity design. Silver travertine is one of my favorite natural stones. Its stunning blend of silver, grays and creams adds inspiring style to any space. For that spa feeling, stone is the natural choice due to its texture and multitude of hues. Above its accented in the shower. Below I clad slate on the sink wall of my own bathroom. A clear poly was applied to bring out the rich, warm colors and protect it from water staining. Fixture by DXV by American Standard. 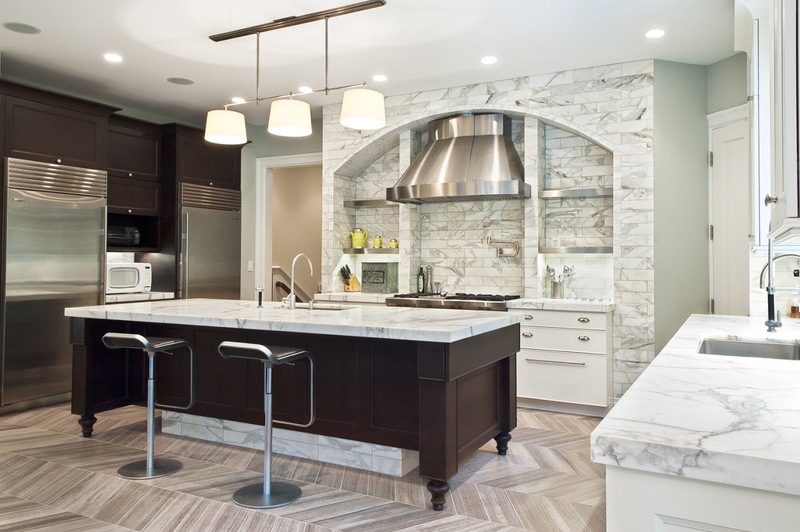 To learn more about natural stone, you can connect with MIA + BSI : The Natural Stone Institute through their website, the Marble Institute Facebook and Twitter.